Making a movie musical about the origins of circus king P.T. Barnum in this day and age is risky for a couple of reasons. First, original musicals aren’t exactly big draws, no matter who’s starring in them. And second, centering a movie around a person who popularized the circus that recently met its demise seems questionable at best. 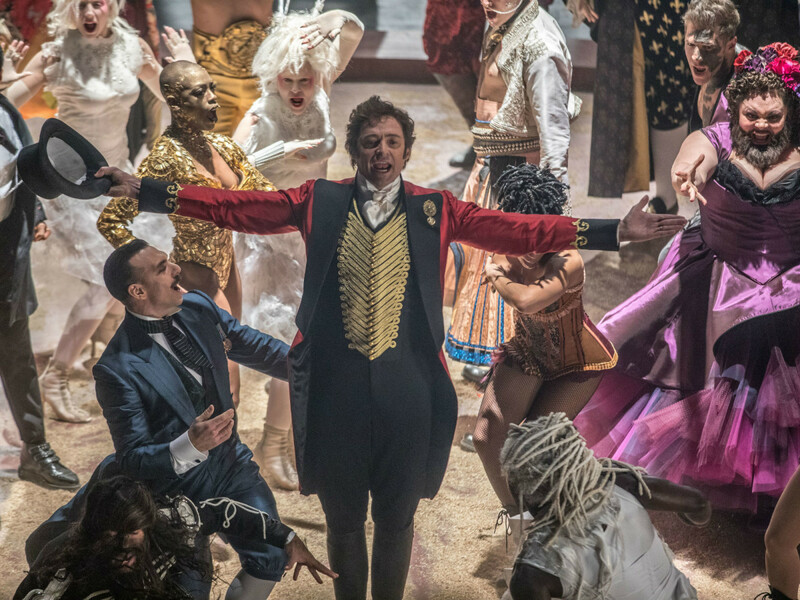 Hugh Jackman stars as Barnum in The Greatest Showman, which follows Barnum from a young, penniless orphan to a hugely successful purveyor of the circus arts. Along the way, he marries his childhood sweetheart, Charity (Michelle Williams); hires a bunch of society cast-offs to work in his show, including a bearded woman (Keala Settle), a dwarf (Charles Stratton), and a trapeze artist (Zendaya); introduces the world to an ultra-talented singer, Jenny Lind (Rebecca Ferguson); and more. The film, directed by Michael Gracey and co-written by Jenny Bicks and Bill Condon, never stays in one place too long, fast-forwarding through many big events to get to the heart of the film. This gives the audience a lot of information very quickly, but also serves to remove almost any connection that comes with spending time with characters. Instead of conventional storytelling, the film overwhelms with the spectacle of its musical numbers. And the filmmakers do a fantastic job of it. Many of the songs are foot-stomping, eye-popping, only-in-the-movies kinds of scenes. 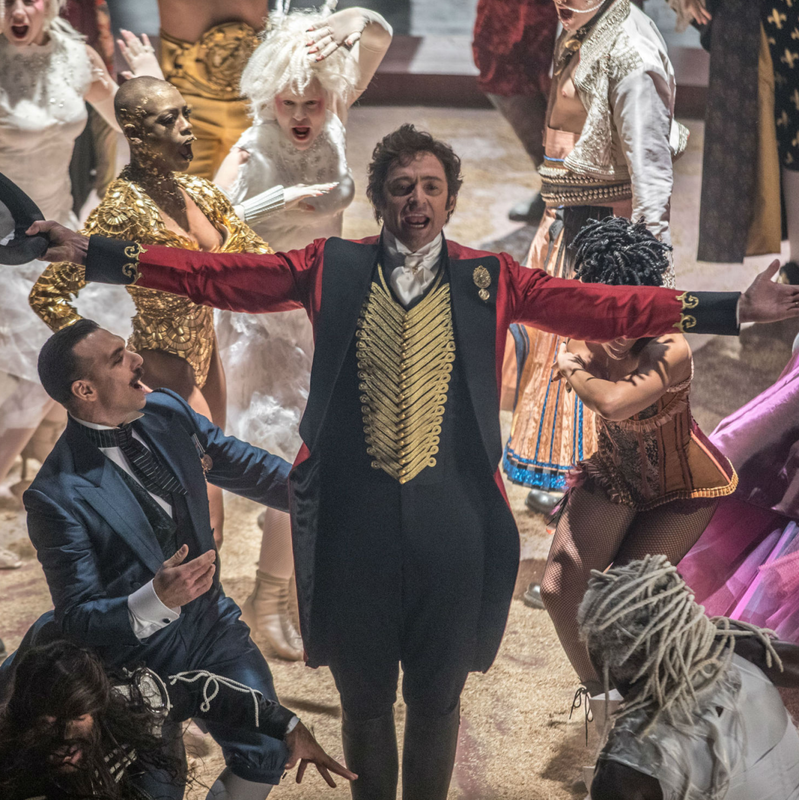 Just as Barnum would use anything and everything to entertain his crowds, the film about his life pulls out all the stops during its songs to razzle dazzle you into submission. 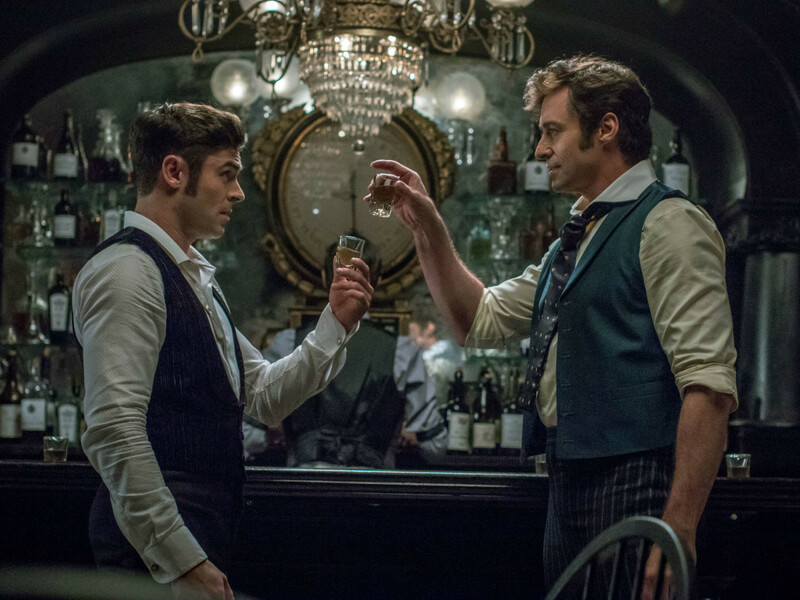 The best numbers include “A Million Dreams” with Jackman and Williams; “The Other Side” with Jackman and Zac Efron, who plays Phillip Carlyle, an early investor in the circus; and “Rewrite the Stars,” a high-flying love song between Efron and Zendaya. 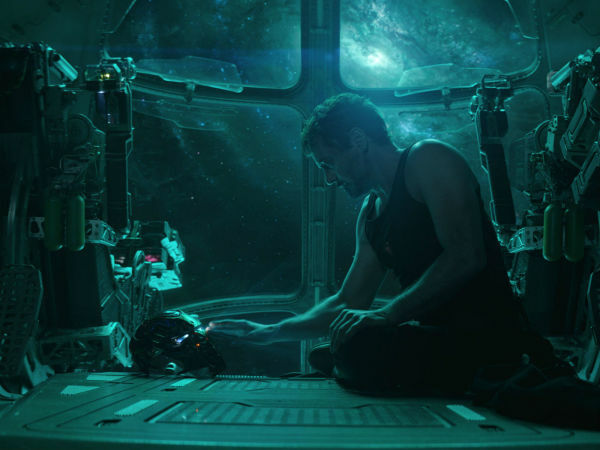 The greatness of those scenes only heightens the ordinariness of the rest of the film, though. Even if you don’t know Barnum’s story, it’s obvious you have to take the events onscreen with a huge grain of salt. 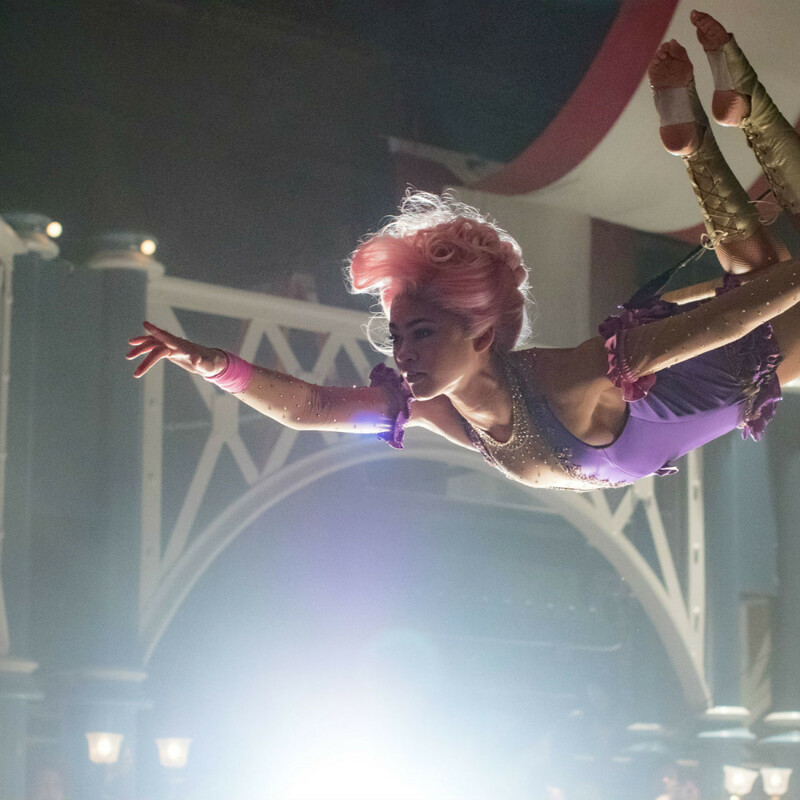 Many biopics are guilty of changing key elements to suit their story, but The Greatest Showman often feels as fake as some of the people Barnum put in his show. There’s also no hint of the controversy surrounding the modern-day company that Barnum wrought nor the fate that recently befell it. The Ringling Bros. and Barnum & Bailey Circus shut down in May, blaming declining ticket sales and protests by animal rights groups. It's hard to watch how he uses elephants (CGI in the film) and imagine there won't be repercussions, even 150 years later. 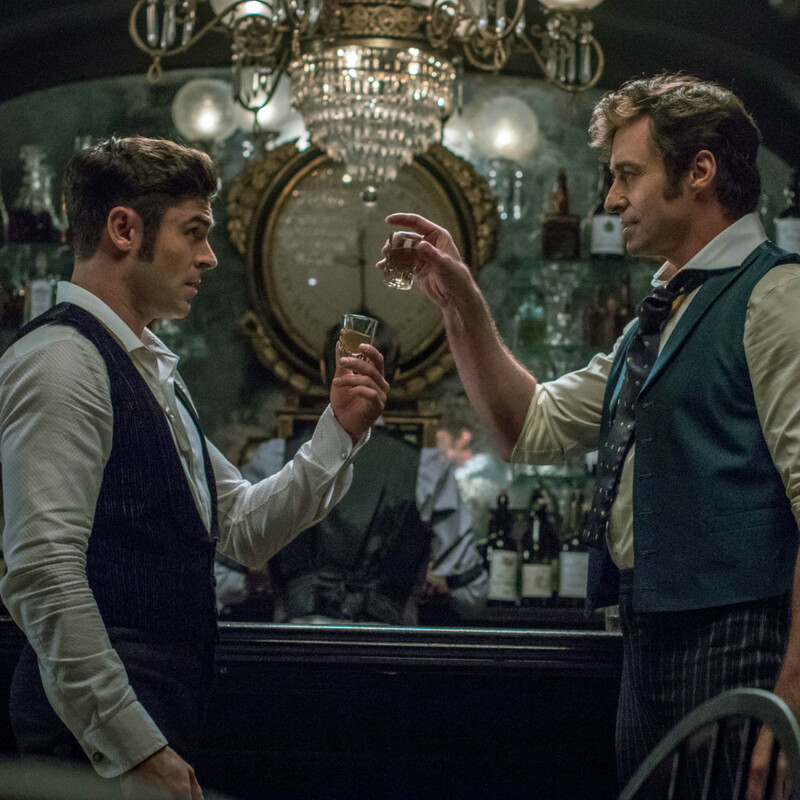 Still, Jackman and his cohorts, including Williams, Settle, Zendaya, and Zac Efron give their all to the film. Each of them gets at least one moment to shine, and none of them throws away their shot (to paraphrase Lin-Manuel Miranda). Like everything P.T. 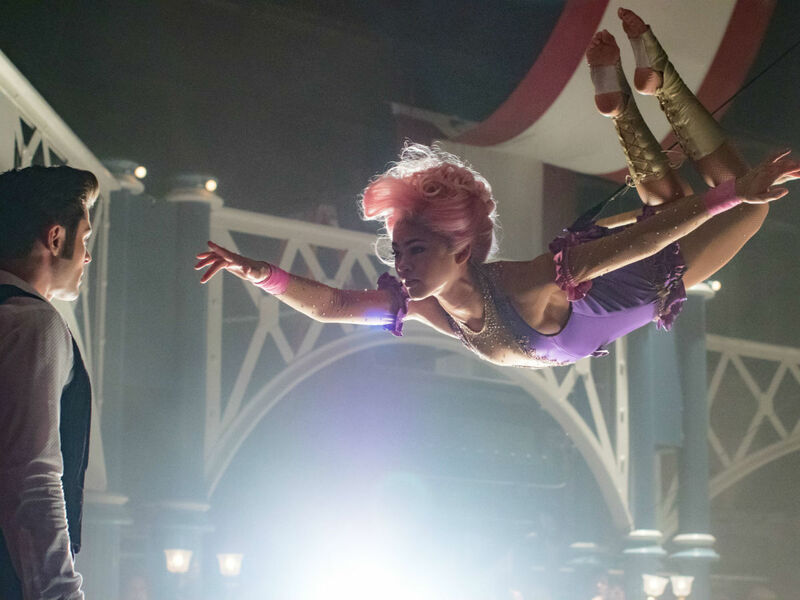 Barnum did, The Greatest Showman was a big risk, and the filmmakers don’t entirely pull it off. But if you can focus on the songs and ignore its shortcomings, chances are you’ll have a great time.